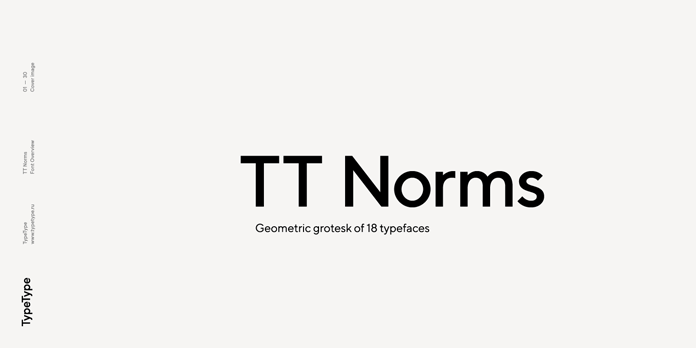 TT Norms font family, a geometric grotesk of 18 styles. 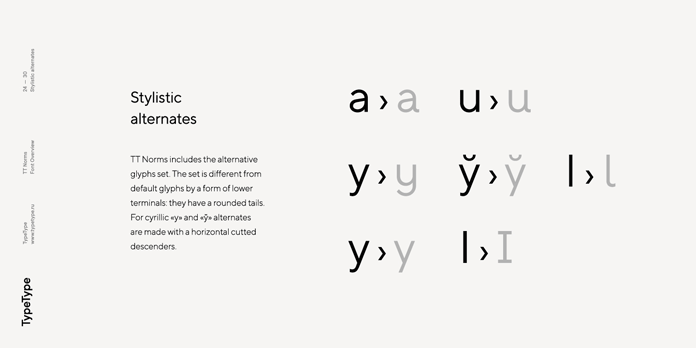 Designed by Ivan Gladkikh and his TypeType team, TT Norms is a modern, geometric grotesk font family that comes in 18 styles. Equipped with a huge character set of 9 weights plus matching Italics and countless OpenType features, this typeface is truly a reliable workhorse! 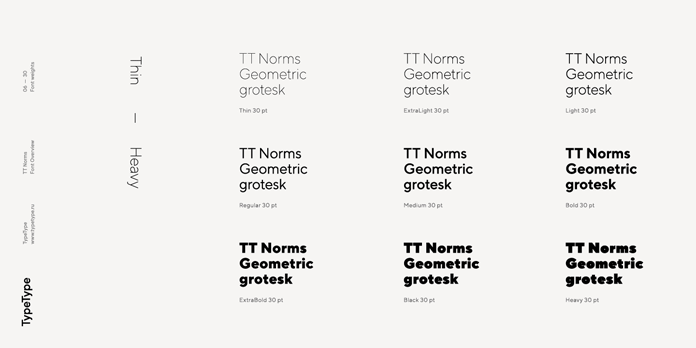 TT Norms’ characteristic design is based on clean proportions and a straightforward look. 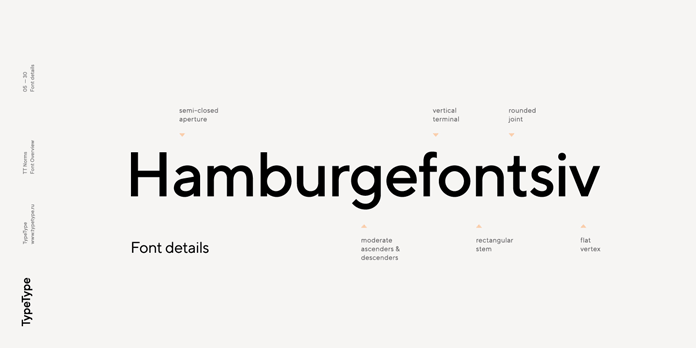 This modern sans serif is the result of countless hours of meticulously accurate type design. The neutral nature of the typeface gets a more humanist twist when stylistic alternates are activated. 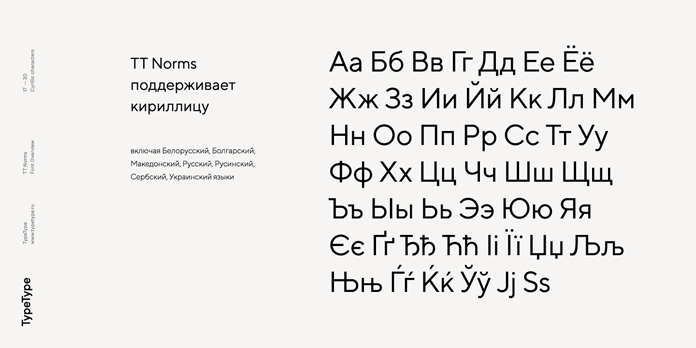 In addition to all Latin based languages, the extensive character set supports Cyrillic letters. 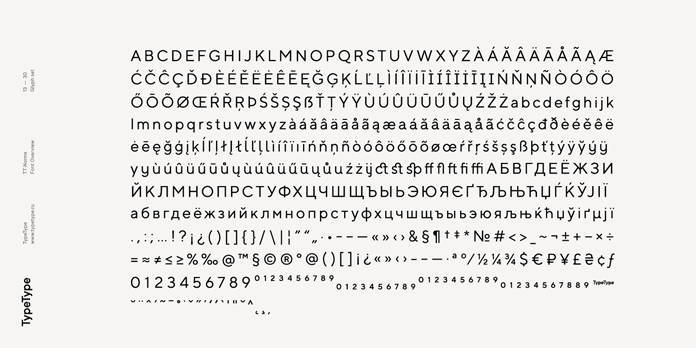 The great array of typographic features includes superscript and subscript, stylistic alternates, proportional lining, numerators, denominators, ordinals, tabular figures, ligatures, case sensitive characters, and fractions. 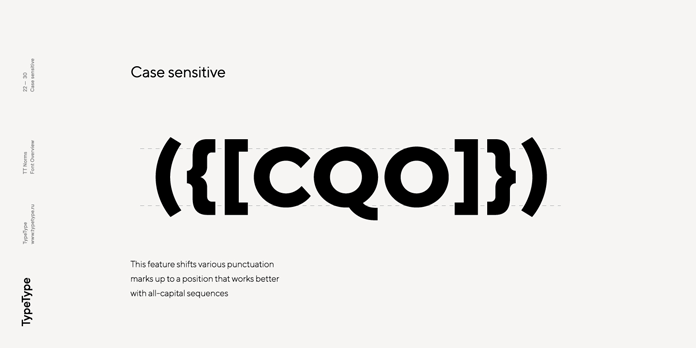 The TT Norms font family can be used for both striking headlines and long text in small sizes. To know more about this family, feel free to follow the link below. 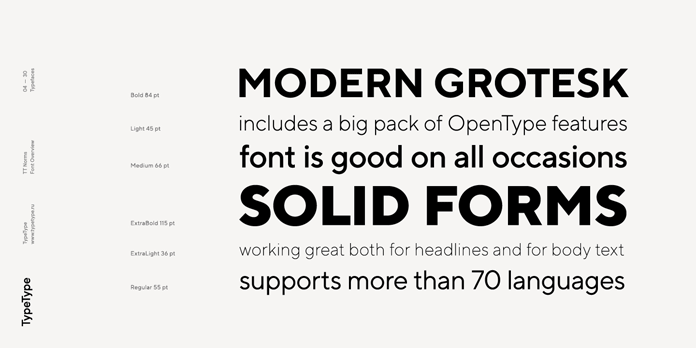 You can get the typeface on MyFonts. 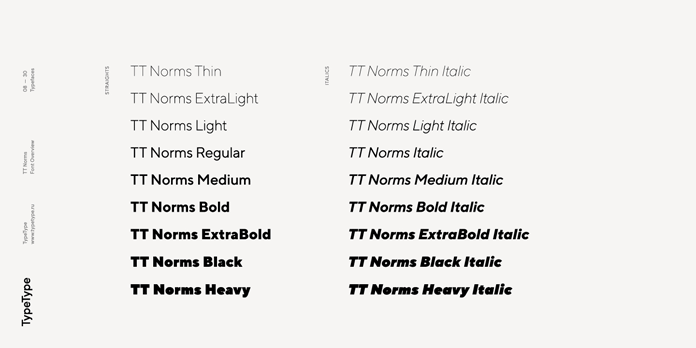 TT Norms font family, a geometric grotesk of consisting 18 styles. 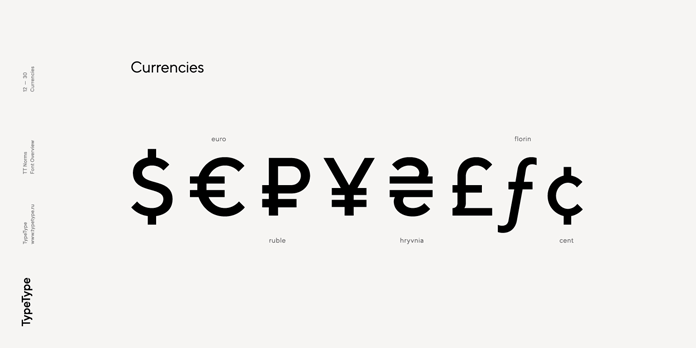 An extensive character set that offers plenty of typographic options. Different weights in different font sizes. Some of the typeface details. All weights from thin to heavy. It comes with true Italics. 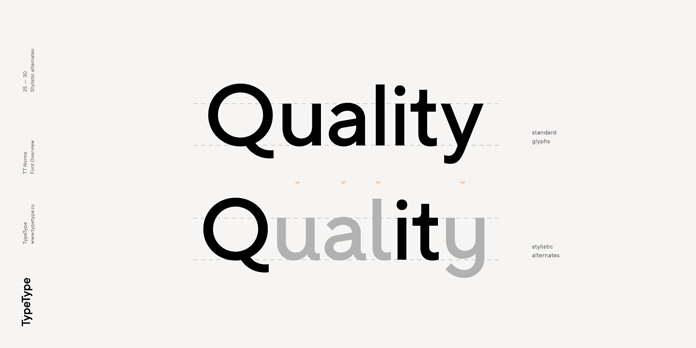 The family is equipped with lots of OpenType features. 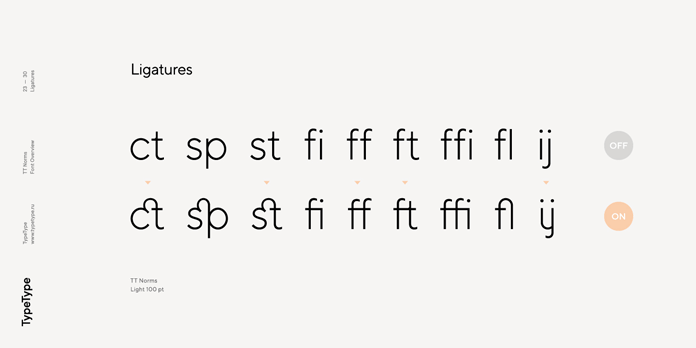 This is the complete set of ligatures. It comes with a set of stylistic alternates. An example of activated stylistic alternates. Do not hesitate to download the family as introductory offer on MyFonts. You can find more highly professional fonts on WE AND THE COLOR. 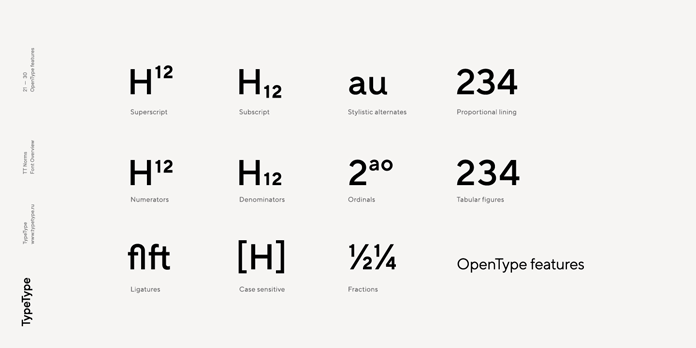 We present you a handpicked selection of timeless typefaces. In addition, you can find a huge range of useful graphic resources in our recommended Templates category. 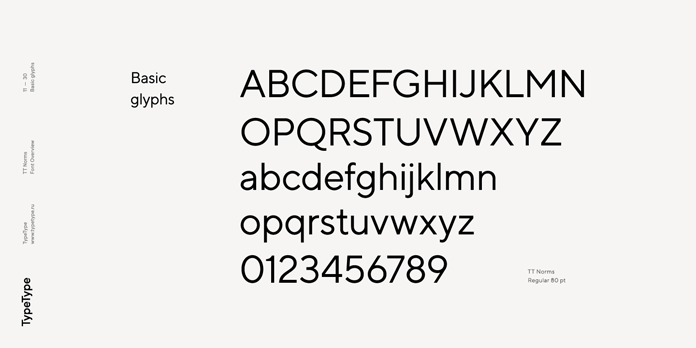 The post TT Norms Font Family from TypeType appeared first on WE AND THE COLOR.